You can add value to any product by giving the user interface a professional look and feel. When users like what they see in an app UI, they’re much more likely to install it. There are a set of defined rules for the design, colour, icon and other UI elements that your Android app should follow. In this article, we will stick to the icons, specifically the launcher icon, for your Android app. Launcher Icon: this icon represents your app on the user’s device’s home screen or application list. 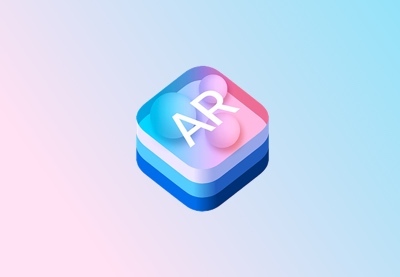 This can either be an Adaptive Launcher Icon, for Android 8.0 (API level 26) or above, or a Legacy Launcher Icon, for Android 7.1 (API level 25) or below. Action Bar Icons: for the items in the action bar. Tab Icons: for the tab items that have icons, if any. And this is just the launcher icon. There is a similar list for each category of icon. But thankfully, Android Studio provides us with a tool called Image Asset Studio that handles the creation of icons for all screen densities very easily. What Is Image Asset Studio? 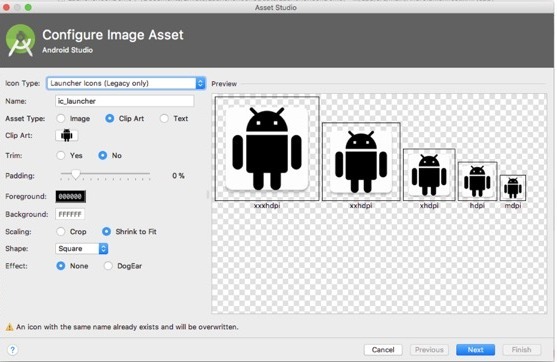 Android Studio 3 has introduced Image Asset Studio for creating icons for your app. It takes care of generating app icons of appropriate resolution for different screen densities and placing them in the respective mipmap-density folders in the resource directory. It also generates the icon for the web (512 x 512 px) which is required for uploading the application to the Google Play Store. 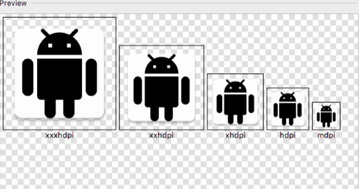 These icons are then fetched accordingly from the folders based on the screen density of the devices during runtime. For adaptive launcher icons, Image Asset Studio provides a complete preview of the icon set which includes circle, square, rounded square, squircle, full bleed layer, legacy icon, round and Google Play Store versions of the icon as well. For legacy launcher icons, on the other hand, the devices do not support icons of varying shapes. So a more restricted set of icons will be generated. Let’s take a look at how to create an icon set using Image Asset Studio. 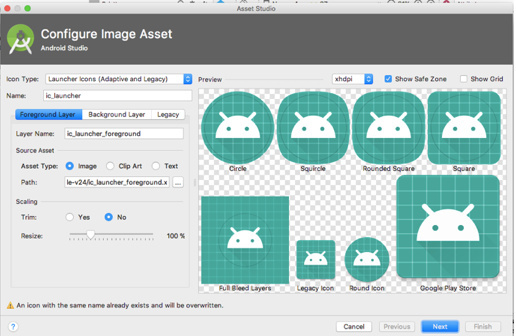 To start Image Asset Studio, select Android in the Project Window. Right click on the res folder and select New > Image Asset. You have now opened Image Asset Studio. You can now create an Adaptive Launcher Icon or Legacy Only Launcher Icon as per your requirement. You’ll use this icon type for Android 8.0 support. First, select Launcher Icons (Adaptive & Legacy) for Icon Type. Change the name of the icon if you wish to. If the name already exists, there will be a warning at the bottom of the dialog, telling you the existing one will be overwritten. Image: Set the path of the custom icon image. Clip Art: Select the icon from the set of material design icons and set the colour. Text: Set a specified string, and set the font and the colour. Similarly, in the Background Layer tab, you can select an Image, Clip Art, or Text asset type. 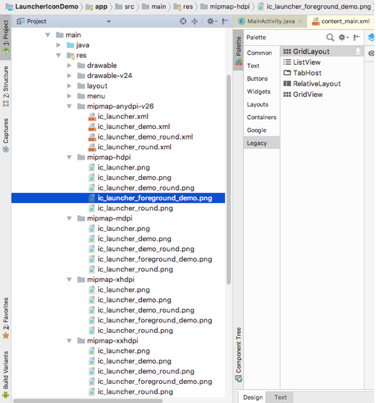 Layer Name: You can give the layer a unique name. Scaling Parameters: These can be set to your requirements. This option is disabled if you select a colour for the background layer. Trim: Choose if you want to remove the transparent spaces around your icon. Resize: Change the size of the icon. The Legacy tab lets you decide whether to also generate a legacy icon. Here you can choose whether you want to generate a legacy icon, a Google Play Store icon, and a round icon, as well as what shape to use for each of them. This is the kind of icon you’ll create if you want to support versions of Android less than or equal to 7.1. First, select Launcher Icons (Legacy Only) for the Icon Type. You can change the Name of the icon at this time if you wish to. If the name already exists, there will be a warning at the bottom that the existing one will be overwritten. Select the Asset Type and configure the associated settings. Trim: Choose this if you want to remove the transparent spaces around your icon. Padding: Set the padding for the icon. Foreground: Set the foreground colour. Background: Set the background colour. Scaling: Choose to crop or shrink to fit. Shape: To add a backdrop to the icon, select the shape. For a transparent backdrop, select none. Effect: Choose whether to have a dog-eared effect for your square or rectangular shaped icon. Any changes you make will be reflected in the preview section. Once you’re happy with your icon’s look and feel, click Next. main/res: for all build variants, including release and debug. release/res: overrides the main source set for the single release version of the build. 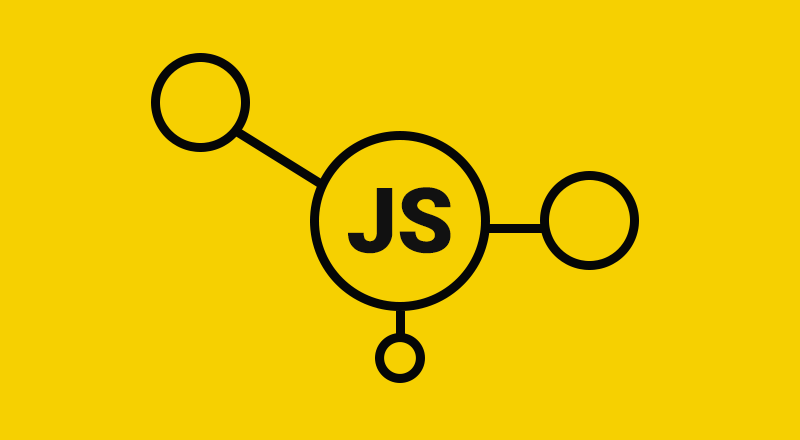 custom source set: you can define your own source set. Finally, wrap it up by pressing Finish. Now we are ready with our new launcher icon in all the respective folders. The name of my launcher icon is ic_launcher_demo. You can see all the icons that were generated for this icon in the screenshot below. Now it’s time to update the AndroidManifest file so that our app knows to use the new icon. 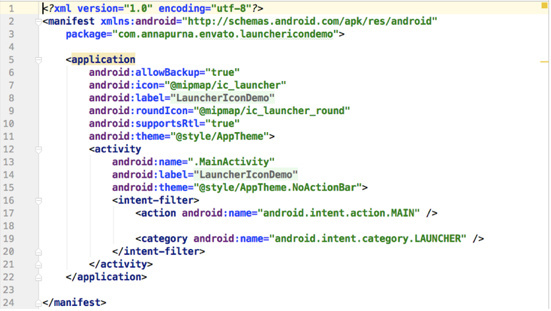 To start, open your AndroidManifest.xml file. Here, the default launcher icon is set on line 7 and 9. You need to update it with the new icon that you created. Change android:icon and android:roundIcon to the name you have chosen for your launcher icon. Congratulations! You have successfully updated the launcher icon for your app. In this post, you learned about the different kinds of icons that are used in an Android app, as well as all the different screen resolutions that must be generated for each icon. 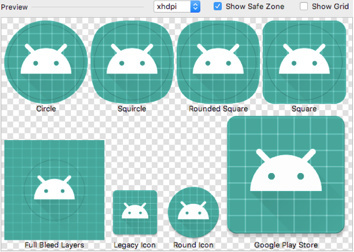 Then you learned about the Image Asset Studio tool and how it makes generating icons for your Android app much easier. What’s New in Xcode 9?